Colt Mfg. 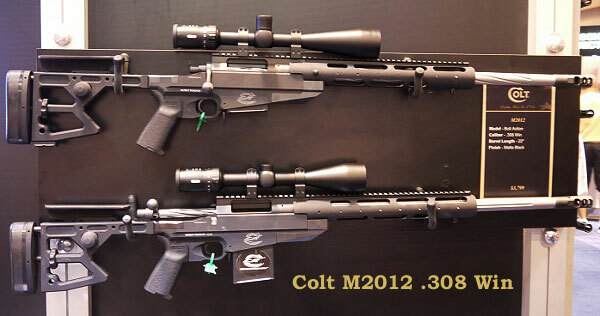 Co. (Colt) is bringing out two new bolt-action rifles with actions from Cooper Firearms of Montana. (So maybe we should call these “Colpers” or “Coolts”?) 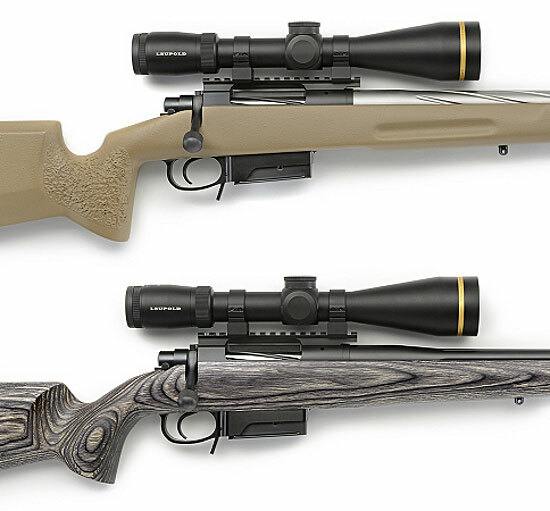 Two different versions of the new Colt M2012 solid-stocked bolt-action rifles have been announced: a .308 Win with a Manners composite stock (MT308T), and a laminated stock version chambered in either .308 Win (LT308G) or .260 Remington (LT260G). All versions feature fluted barrels, detachable box magazines, and single-stage Timney triggers. All new M2012 MTs and LTs ship with signed, numbered, and dated Colt test targets. These rifles will be pricey for a factory rifle. The M2012MT308T in .308 Winchester carries a $3,195.00 MSRP. That puts you pretty close to the cost of a custom tactical build. The laminated-stock LT versions list for $2,795.00, making those considerably more affordable. 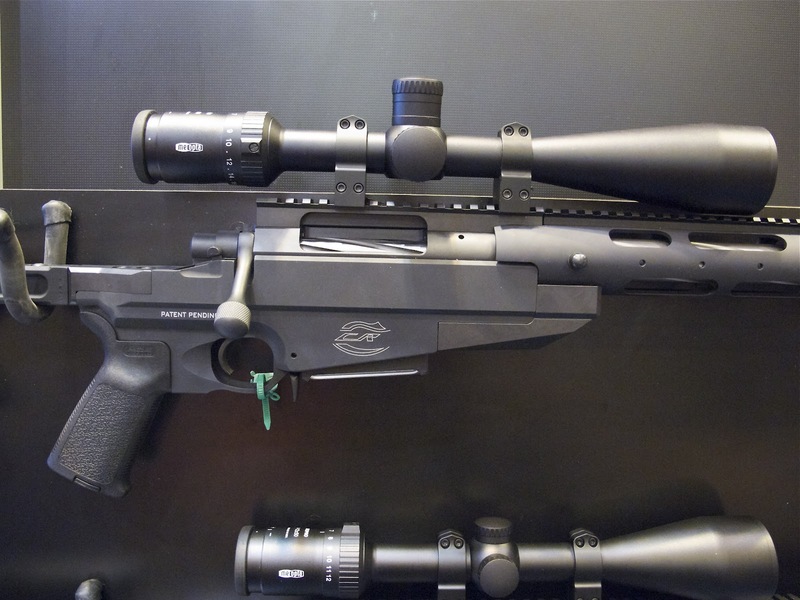 So what do you get for your money with a M2012 bolt-action “Coolt”? The M2012MT308T features a 1:10″-twist, 22″ fluted stainless barrel with factory muzzle brake. All-up weight, even with the lightweight Manners carbon/fiberglass composite stock, is 10.25 pounds. Overall length is 44″, making the rifle fairly compact, good for tactical games and hunting. The laminated LT models (offered in .308 Win or .260 Rem), weigh just 8.5 pounds, making them nearly two pounds lighter than the Manners-stocked models. We presume the weight saving comes from the use of lighter-contour barrels. The LT308G features a 22″ chrome-moly 1:10″-twist fluted barrel, while the LT260G sports a 22″ chrome-moly 1:8″-twist fluted barrel. This enables the .260 version to shoot popular 138-142 grain 6.5mm match bullets. Again, muzzle brakes come fitted to the laminated guns, just like the composite-stock variant. These new Colt M2012s might be a decent starter platform for an F-TR rifle, but the fore-arm is pretty short (for optimal bipod use) and the shooter might need to retro-fit some kind of raised cheekpiece for prone shooting. It may be that the real market for these rifles will be hunters who want the security of a factory warranty, in a product that is a step-up from a basic Remington 700, Howa, or Savage. 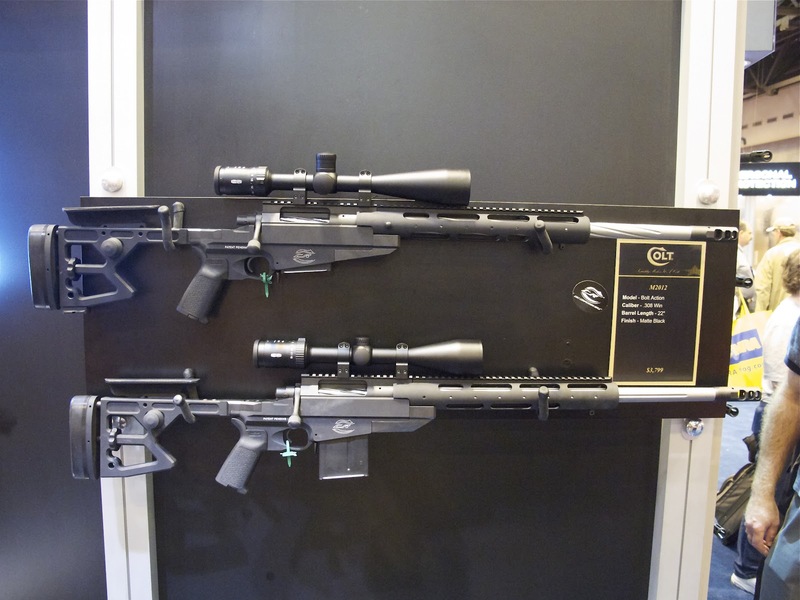 Share the post "Colt Offers Precision Bolt-Action Rifles with Cooper Actions"
At the NRA Annual Meeting in St. Louis, Colt Firearms introduced a new bolt-action “Competition Rifle”, the M2012-CLR. Assembled by Cooper Firearms for Colt, the M2012 features a Colt metal chassis with tubular forearm, and a Cooper Arms repeater action. The M2012 rifles on display were chambered in .308 Winchester with fluted 1:10″ twist stainless barrels fitted with Surefire muzzle brakes. The bolt is a three-lug design with a Sako-style extractor. Trigger is a Timney set at 3 pounds — pretty high for a “competition” rifle. Though the barrel is only 22″, the M2012 is fairly heavy. Weight without optics is 13.2 pounds. Given the weight and short barrel, we think Colt is marketing this more for tactical shooters, rather than actual High Power or F-TR competitors. Photo by Nick Leghorn, courtesy Nick Leghorn and TheTruthAboutGuns.com. MSRP for the new M2012-CLR is $3799.00. Colt’s asking price is approximately $1300.00 more than the price of an Eliseo RTS Tubegun Chassis ($1020.00) with a Rem-clone custom action ($900.00) and a Krieger barrel ($550.00 chambered). The RTS features a 5-way adjustable buttstock, easily removed without tools. The Colt M2012 offers adjustable Length of Pull (LOP) and adjustable cheekpiece height. The M2012’s skeleton buttstock is bolted to the main chassis, requiring an Allen wrench to remove. Share the post "Colt’s New M2012-CLR Competition Bolt Gun with Cooper Action"